A few passing clouds. Low 44F. Winds W at 5 to 10 mph. We apparently now know what Frank Clark’s thoughts are on the Seahawks giving him a franchise tag last week. The report didn’t state sources, but this appears to be coming from Clark’s side and can be viewed as an opening salvo in negotiations with the Seahawks, who have until July 15 to work out a multiyear contract with the defensive end who was their leading pass rusher in 2018. After that date, no negotiations are allowed until after the season. The Seahawks placed a nonexclusive tag on Clark last week, which, if he signs it, will assure him $17.128 million in 2019. But Clark appears to be making it clear he wants a long-term contract. Rapoport seems to indicate Clark will play the 2019 season, which Clark would likely do to assure he gets his money, as Earl Thomas did in 2018. But if he does not sign a long-term deal, then he would become a free agent following the 2019 season. The nonexclusive tag means Clark can continue to negotiate with other teams, but the Seahawks would have the right to match or get two first-round picks as compensation should Clark sign elsewhere. As Rapoport notes, the Seahawks have a few other prominent players who have contracts that will run out following the 2019 season, most notably Russell Wilson, Bobby Wagner and Jarran Reed (and the Seahawks would almost certainly not use the tag again on Clark in 2020). So there’s some work to get done and some decisions to be made. The Seahawks will likely be more aggressive about not letting this one linger after what happened with Thomas, who held out and suffered a season-ending injury and will become a free agent Wednesday. Seattle could get as high as a third-round compensation pick in 2020 for Thomas. The Seahawks figure to either lock up Clark or explore other options, unless they want to again go through the potential of a holdout and an unhappy marquee player. Seattle held firm with Thomas and when Kam Chancellor held out in 2015, but they may not want to go through that again. Officially, Clark not attending training camp wouldn’t be a hold out if he does not sign the franchise tag tender as he would not be under contract, and as such would not be subject to fines. Clark would likely not sign anything until he wanted to report and play. Players are paid base salaries during the season, getting 1/17th of their pay each week (for the 16 games and the bye week). There were some reports late last week that teams have called the Seahawks to see if he might be available in a trade, which they could consider if they thought they wouldn’t be able to lock up Clark with a long-term deal. Maybe it was easy to read that and assume all was well. But Clark has made clear on a few occasions that he’s hoping for a long-term contract. Any objective view of the tag is that it’s largely just a holding pattern to getting one done. Clark did not take part in voluntary drills last offseason, when he was hoping that maybe his contract could have been redone before the 2018 season — the earliest the Seahawks could have given him an extension, per NFL rules. He said during training camp that he did not stay away solely due to his contract. He also was dealing with the death of his father and an offseason hand surgery. But he didn’t deny then that the contract was a factor. The tag represents a huge raise for Clark, who made $3.73 million over four years on his rookie deal, which he got after being taken in the second round (pick No. 63) out of Michigan in 2015. He has emerged as one of the top pass rushers in the NFL, leading the Seahawks with 13 sacks in 2018, tied for seventh in the NFL and the most for any Seattle player since 2007 when Patrick Kerney had 14.5. While the tag gives Clark a big payday, he obviously would rather play next year as the beginning of a more significant deal. Clark or his representatives — his agent is Erik Burkhardt, whose clients include Kyler Murray — appears to be letting the Seahawks know they want that commitment sooner rather than later. Joel Corry, a former NFL agent who writes about salary cap issues for CBSSports.com, speculated this week that the Patriots’ Trey Flowers — who he wrote is the top young edge rusher available on the market — could be asking for $90 million over five years with $55 million guaranteed. Flowers, who is two months younger than Clark, has never had more than 7.5 sacks and has 21 in his four-year career while Clark has had nine or more each of the past three years and 35 in four years. So expect Clark to want at least as much, and probably more, especially coming off the best season of his career and entering his prime. Understanding how short careers can be, Clark can’t be blamed for trying to strike while the iron is hot. Clark is the first player the Seahawks have tagged since kicker Olindo Mare in 2010. Players typically don’t like the tag because it just delays getting a multiyear deal, which is usually the goal. Teams typically try to avoid it since it can create an unhappy player. Just six tags were given this season. Seahawks coach Pete Carroll and general manager John Schneider said two weeks ago at the NFL combine they hoped to work out something with Clark and keep him with the organization for the long haul and seemed to predict that it will. Clark, though, appears to be making it clear he’ll play hardball to get what he wants. 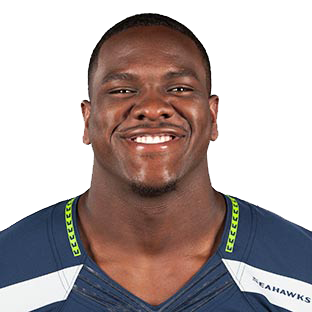 NEEDS: Seattle trued to avoid one major free agency headache by locking up DE Frank Clark and using franchise tag on its premier pass rusher. Coach Pete Carroll has said bringing back guards Sweezy and Fluker are priorities to help solidify offensive line that had Seattle as best running team in NFL last season. Linebacker will be position to watch with Wright set to explore free agency after injury-filled 2018. Seattle should also seek depth in secondary that was shaky at times last season.